ARK Therapeutic is a leading manufacturer of innovative therapy tools and special needs products. 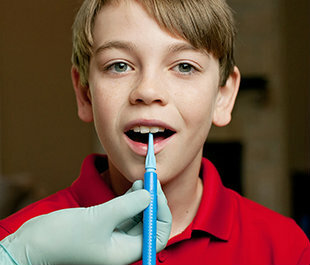 We've created a unique line of oral motor tools, feeding and drinking aids, speech therapy tools, sensory chews, writing tools, and much more, all made right here in the USA. Looking to decrease oral defensiveness and work on oral motor exercises? Try our Z-Vibe. Looking to improve biting and chewing skills? Try the Grabber or Y-Chew. Need to chew? 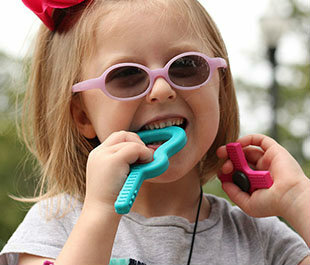 Chewable jewelry and/or pencil toppers are a safe and stylish outlet for oral sensory input. Not sure what you need? Pleasecontact us with any questions or suggestions. We're here to help and look forward to hearing from you! "I've been ordering from ARK for awhile for my kids who have Autism and sensory needs. Every order has been fantastic! My kids love their 'Chewelry' necklaces and I've been very pleased with the amount of products you offer for such a wide age range. Also, your customer service has been exceptional in helping me find the right solutions, very kind and knowledgeable." - Gabriella M.
"The Z-Vibe has done wonders for our son in the feeding department. He started putting the spoon further in his mouth after using the Z-Vibe then last night he ate his ENTIRE dinner! We were beyond thrilled and I wish we would have gotten this amazing tool earlier. I can't wait for feeding therapy on Monday so he can show off his skills to his therapist!" - Britt U. 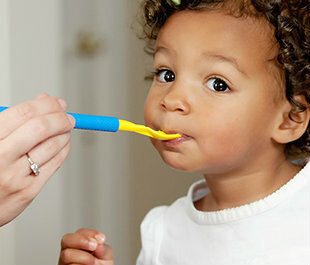 10 Tips for Kids Who Need to Chew Need to Chew? Click on the image above for oral sensory strategies. Z-Vibe Oral Motor ExercisesClick on the image above for example therapy exercises for using your Z-Vibe. 75+ Feeding Therapy TipsAn extensive list of tips, techniques, strategies, and advice on all things feeding therapy.